I added the ribbon to the tags, the gold G and my photo, then layered on a few more pieces to the tags. I love the flowery girly look! **Be sure to use code: Mary Ann for 20% off your entire order at Paper Issues! Hello Mary Ann! 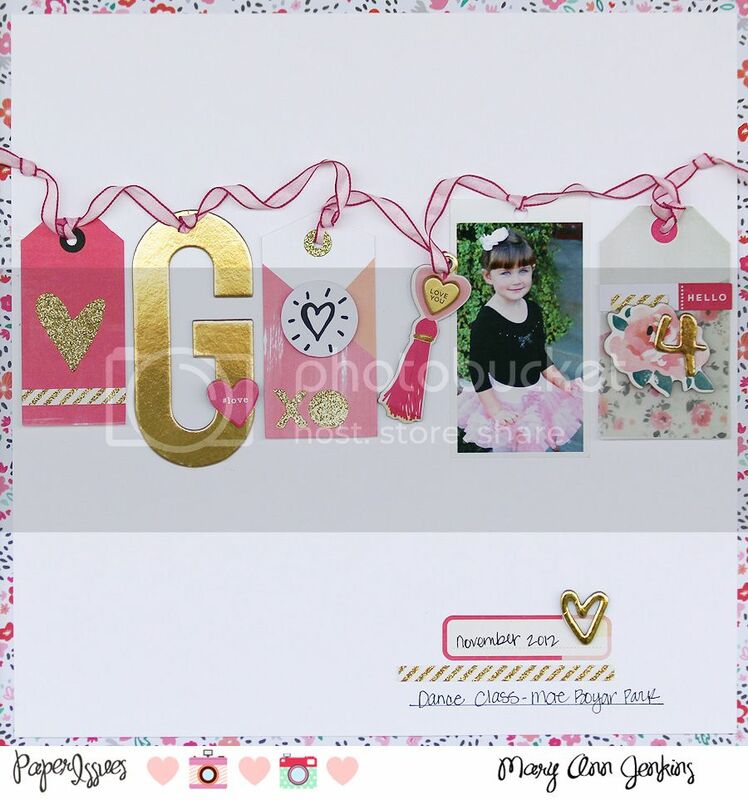 I also love the girly look of your page, but I love very much the idea of the garland & tags; of course your picture is awesome and so nicely brought forwards by the embellishments. Lovely, Lovely, Lovely!